This year I’m trying to make more quick and easy weeknight meals. 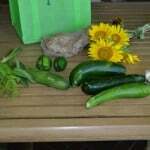 I find that often times easy meals aren’t always the healthiest meals so I’ve set out to find easy and healthier meals. 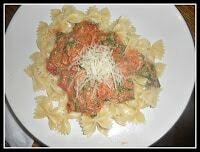 Since my favorite meals involve pasta I started there. 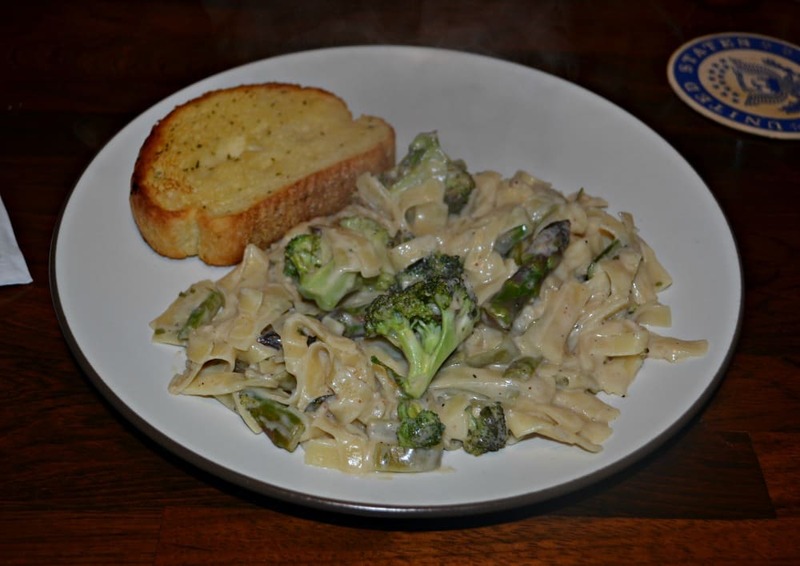 I love fettuccine alfredo but it is so full of fat and calories. 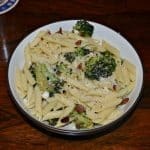 So I found a recipe from Cooking Light that makes a lighter version of Alfredo sauce. 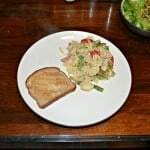 I added in broccoli and asparagus to give the pasta some color and add some healthy vegetables to it. Despite the fact that this sauce is made with fat free milk, low fat cream cheese, and Parmesan cheese, it tastes creamy and delicious! 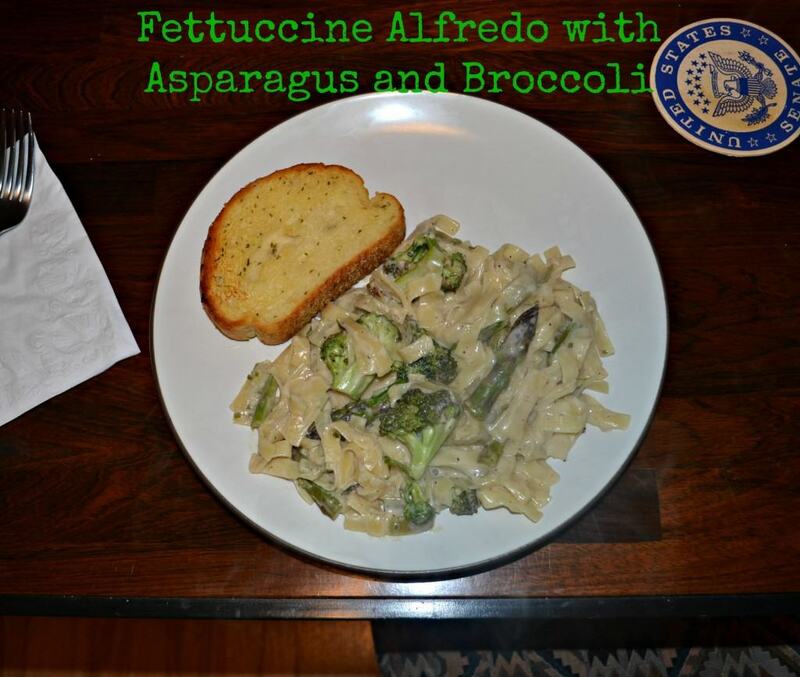 The broccoli and asparagus add a lot of flavor to the Alfredo. It is a surprisingly tasty pasta dish that’s ready in about 20 minutes. 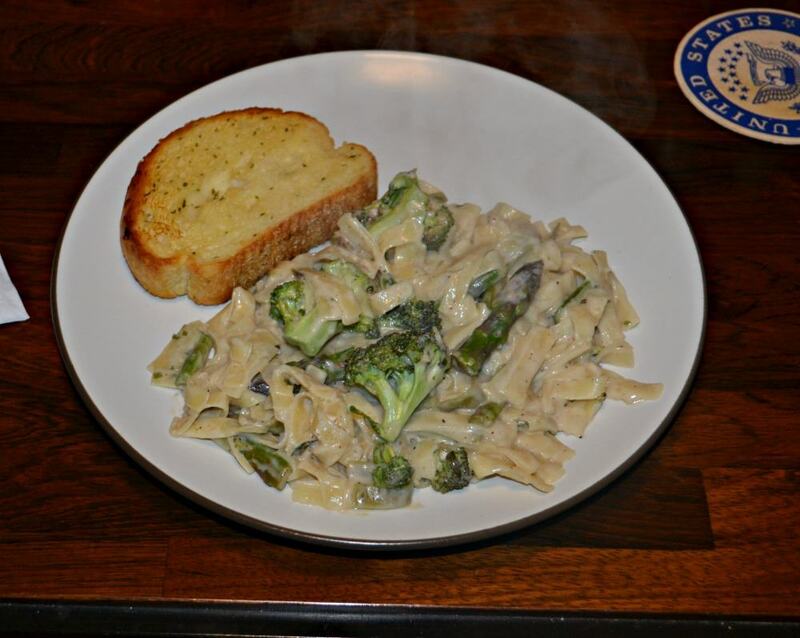 A lightened up version of Fettuccine Alfredo topped with asparagus and broccoli. Cook the pasta according to the package directions. Drain, reserving ¼ cup of pasta water, and keep warm. Heat the olive oil in a large skillet over medium heat. Add the asparagus, broccoli, salt, and pepper. Saute the vegetables for 6 minutes. Remove from heat and add lemon juice. Toss to coat. Melt the butter in a medium saucepan over medium heat. Add the garlic and cook for 1 minute. Add in the cream cheese and stir until smooth. Stir in the milk, Parmesan cheese, nutmeg, and reserved pasta water. 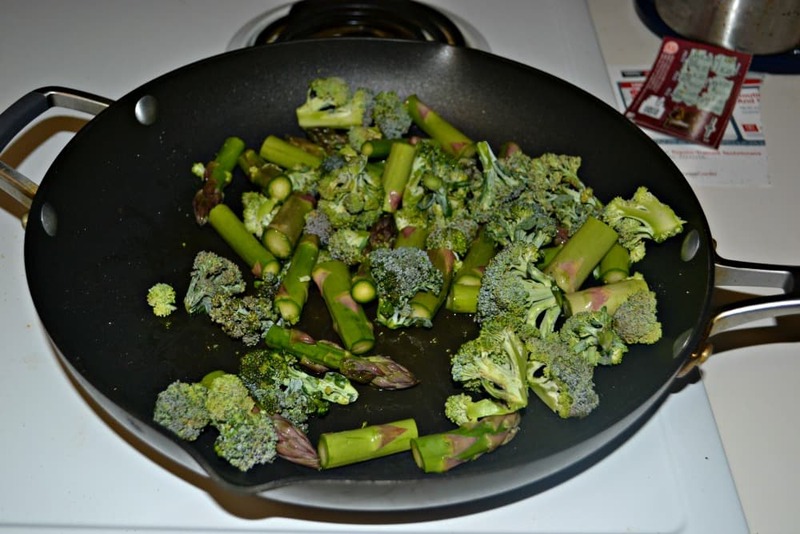 Add the Alfredo sauce to the broccoli and asparagus in the skillet. Cook for 2 minutes then add warm pasta. Toss to coat.